Motorola Moto G Turbo Edition, the killer next generation mid-range smartphone with IP67-rated water and dust proof technology launched in India now available online through Flipkart from 11th Dec. 2015 at Rs 14,999. It will take on Samsung, Lenovo, Xiaomi in mid-range market. The all new Motorola Moto G Turbo Edition supports IP67-rated water and dust proof technology, 4G LTE , Dual-SIM(Micro SIM), Wi-Fi, Bluetooth, USB, GPS and FM Radio offerS you a bigger 5-inch HD (720 × 1,280 pixels) display with pixel density of 294ppi, Corning Gorilla Glass 3 with wide-angle HD viewing perfect for multitasking. 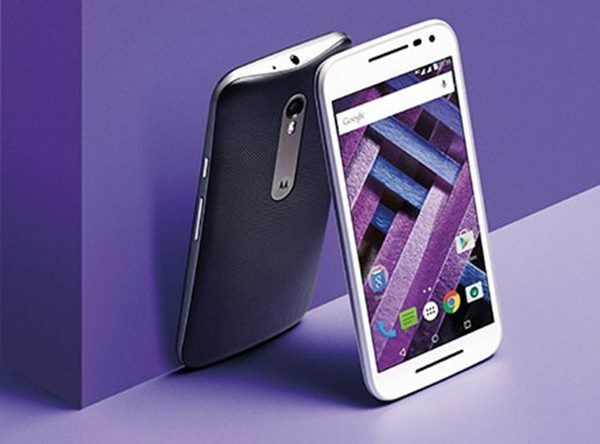 Motorola Moto G Turbo Edition runs on latest Android 5.1 Lollipop OS and powered by 1.4GHz quad-core Qualcomm Snapdragon 410 processor, Adreno 306 GPU with 1GB/2GB of RAM and 16GB internal memory and 64GB expandable memory for superior multi-tasking and gaming allows to run your apps smoothly. Motorola Moto G Turbo Edition sporting a 13-MP Primary Camera with LED flash perfect for low light photography and 5-MP secondary camera for clicking selfies and making video call expected to be packed with a 2470mAh battery with Quick charge measures 142.1×72.4×11.6mm and weight 155gm. Motorola Moto G 3rd Gen is available in India through Flipkart priced at Rs 11,999 for 1GB RAM+8GB ROM and Rs 12,999 for 2GB RAM + 16GB ROM in Black and white colour option. Bigger 5”-inch HD Display with Corning Gorilla Glass 3 screen. At last Few Honest word, new Motorola Moto G Turbo Edition is the best smartphone for mid-range buyers. What you think? Please be open to give your view.